Data from a new Pew Research Center survey reveals YouTube has become a valuable resource for Americans. The research contains some valuable insights for small businesses now using the platform as a marketing channel. Users are turning to YouTube for how to videos, product information, children’s content and even news. According to Pew Research, people across a wide range of demographics are using YouTube. For 35% of all adults in the US, it is the place to go for how-to videos. They also watched the videos to pass time, make a purchasing decision about a product and understanding things happening in the world. 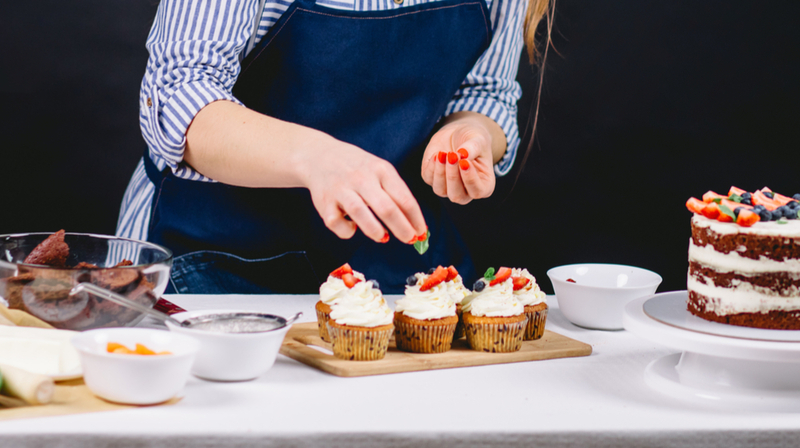 For small businesses who are using YouTube as a digital marketing platform, the data shows some important ways to gain an edge. It shows how owners can create different types of videos related to their business to better connect and engage with their customers. Pew Research used two different sources to come up with the data for the report. The first one was to gain insights into the attitudes and experiences of YouTube users. This came from a nationally representative survey of 4,594 U.S. adults carried out from May 29 to June 11, 2018. The second one looked at YouTube recommendations using the platform’s public API from July 18 to August 29, 2018. The analysis was from more than 170,000 “random walks” through YouTube’s video recommendations. These were videos posted by high-subscriber YouTube channels. YouTube is growing and the numbers, according to the company, are quite impressive. The site has more than 1.9 billion logged-in users who visit YouTube each month. This translates to people watching over a billion hours of video every day generating billions of views. When it comes to watching the videos, over 70% use their mobile device to do it. This has created an industry for creators, who now make a living with advertisements on their channel. YouTube says the number of channels earning six figures per year on YouTube has grown over 40% year on year. For those earning five figures it is up by more than 50% year on year, and channels with more than one million subscribers are also up by 75%. So how has all this growth translated to the viewing habits of Americans on YouTube? 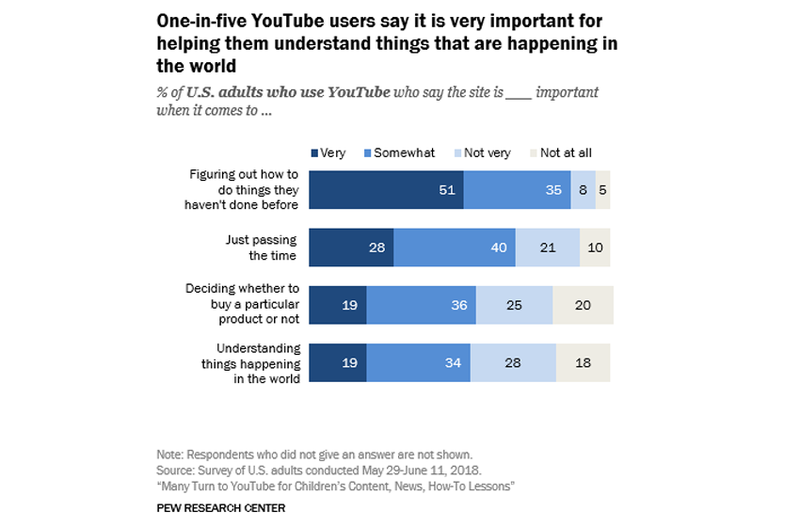 In the survey, one-in-five YouTube users say it is an important resource to help them understand what is happening in the world. This includes 86% who said it is very or somewhat important for watching videos to figure out how to do things they haven’t done before. Another 68% said they watch the videos to just simply pass time, with 28% of those saying it is very important for this particular reason. When it comes to making a decision about buying a particular product, 19% said it was very important with another 36% indicating it was somewhat important. This was followed by 25% who said it was not very important and the remaining 20% stating it wasn’t important at all. For businesses who want to use YouTube as an advertising platform, the fact that 80% of viewers use the site as a decision-making tool is a key piece of information. Although not every one of these 80% relies on these videos 100%, it presents a great opportunity for brands to use YouTube to introduce new products and services. As it relates to things happening in the world or news, the survey revealed 19% of the respondents find YouTube a very important resource. This was followed by 34% who said it was somewhat important, with another 28 and 18 percent stating it was not very or not at all important respectively. Eighty-one percent of parents with children 11 years old and younger allow their kids to watch videos on YouTube, with 34% of parents saying it is a regular occurrence. The recommendation engine from YouTube directs viewers to progressively longer and more popular content as they watch more. 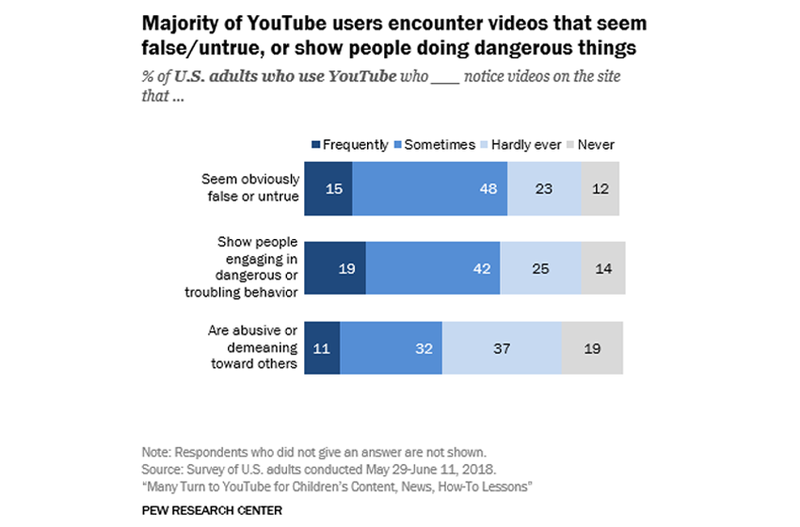 The majority of YouTube users are now encountering videos that appear to be false/untrue or show people doing dangerous activities. You can read the full Pew Research report here.